1.particular stakeholder has a reputation for making manychanges on projects. What is the best approach a project manager can take atthe beginning of the project to manager this stituation? A. Say “no” to the stakeholder a few times to make him change his habits. B．Beginstakeholder involvement in the projects as early as possible. C．Talk to thestakeholder’s boss to find ways to direct thestakeholder’s activities to another project. D. Ask that the stakeholder not be included in thestakeholder listing. 2. Which project management process groupdefines and authorizes the project? 5.All technical work is completed on the project.Which of the following remains to be done? 6. Which of the following is true regardingconstraints and assumptions? A. Constraints restrict the actions of theproject team, and assumptions are considered true for planning purposes. B. Constraints are considered true for planningpurposes, and assumptions limit the options of the project team. C. Constraints consider vendor availability andresource availability to be true for planning purposes. Assumptions limit theproject team to work within predefined budgets or time lines. D. Constraints and assumptions are inputs to theInitiation process. They should be documented, as they will be .used throughoutthe project Planning process. 7．While theproject is being completed, management requests a change. What is the FIRSTthing the project manager should do? 9. 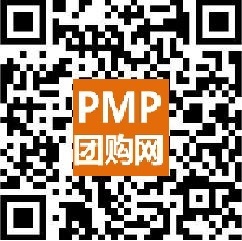 All of the following are correct statementsabout a project manager except? 10. Project manager is involved in thedevelopment of the project charter.He needs to further develop project justification.Whichof the following is the best idea? 11. You are a new project manager who has nevermanaged a project before and you have been asked to plan a new project. Itwould be BEST in this situation to rely on____ during planning to improve yourchance of success. 13. A project manager is trying to convincemanagement to use project management and has decided to start with a charter.Why would the charter help the project? A. It describes the details of what needs to bedone. B. It lists the names of all team members. C. It gives the project manager authority. D. It describes the project's history. 14. What is the purpose of the project charter? A. It is the document that formally authorizes aproject. B. It is issued by a project initiator orsponsor external to the project organization, at a level that is appropriate tofunding the project. C. It is used primarily to request bids fordifferent phases of a project. D. It provides the project manager with theauthority to apply organizational resources to project activities. 19.Your company just a major new project. Itwill begin in three months and is valued at US $2 000 000.You are the projectmanager for an existing project. What is the FIRST thing you should do once youhear of the new project? A. Ask management how the new project will useresources. B. Resource level your project. D. Ask management how the new project willaffect your project. 21.What is the LAST thing to do in project closure? 23. You are a member of a large government project. You know that the contract insists that all equipment be manufactured in the United States. You see a senior member of your team replacing a company etching on a piece of equipment that was made in a foreign country. You confront this person, and he says he is following the project manager’s orders. What should you do? A. Nothing; the project manager made the decision. B. Immediately report the violation to the government. C. Update your resume and look for another job. D. Talk to the project manager about the situation, and then decide what to do. B. re-plan the project to include the new objective. C. meet with the team to discuss the issue and find a resolution. D. get the project stakeholders involved to help resolve the issue. 26.Which of the following BEST describes formal acceptance of a project? B. Customer signoff of the product is documented. 27. The project charter should be approved by? 28. While doing resource planning for your project, you visited the functional manager of engineering many times but she refused to supply resources for the project. First, the excuse was that her department was too busy. The next time, the department was undergoing a re-organization. This is causing your project to slip the schedule. The lack of which of the following is the MOST probable reason for her lack of support? 30. When is integration performed? A. Negotiate with functional managers for relocation of team members to the functional departments. 39. A major construction project has been having a lot of schedule changes due to unanticipated weather problems. Who should be notified of these changes? A. Stop work immediately and release all resources. C. Start closing the project. B. Make sure marketing is aware of the change. C. Understand what functionality was added. D. Implement change control processes to trackthe change. 42．What is thefunction of CCB? 43. Youhave just taken control of a project in the middle of execution and need tolearn who has approval authority for revisions in scope. Which documentprovides this information? 44. An oil field development project managerbelieves that modifying the project scope may increase production and willincrease the owner’s profit level. What should the projectmanager do? 46. One of your senior technical specialistsinforms you a major design flaw exists in a systems development project you aremanaging. You are already testing the system and planned to roll it out to morethan 5,000 users in a month. You know that changing the design now will causesevere cost and schedule overruns. As project manager, what should you dofirst? A. Issue a stop work order until you understandthe extent of the project. B. Notify your project sponsor immediately tosee if there are additional funds available to work on this problem. C. Notify your senior management and let themdecide what to do. D. Hold a meeting as soon as possible with keymembers of your project team to discuss possible solutions to the problem. 47. You are working on a telecommunicationproject. The product and system requirements have been determined and agreed toby the customer, your management, and other key stakeholders. Work isproceeding on the project according to schedule. Everyone seems pleased withthe progress to date. You have just learned that a new regulatory requirementwill cause a change in one of the project’s performancespecification. To ensure that this change is incorporated onto the project plan,you should . A. Project is behind the schedule andover-running the cost. B. When we need realistic data for project toperformance measurement. C. After we have taken corrective actions andpreventive actions. 50. You have just finished most of the work on anew systems integration project when the seller comes to you with detailed proceduresfor closeout of the contract. The contract included closeout procedures. Whatshould you do? 51. Which of the following provide proceduresfor providing the status of the deliverables and that the proposed changes arethoroughly considered and documented before approving a change to the project? A. as needed on the project. C. as a formal documented procedure. 53.All of the following are required to bring aproject to closure EXCEPT? 54. You are the project manager for a largegovernment contract. The contract was signed a year ago for this three-year,multi-million-dollar project. You were not involved in writing the contract orsetting up change control procedures, but now you are being inundated withchange requests from the project sponsor and from your own senior management. Whatshould you do first? A. Tell the sponsor and your senior managementthat any changes are out of scope at this point and cannot be considered. B. Ask senor management to set aside moremanagement reserve to avoid potential financial problems. C. Talk to your legal department to make sureyou don't do anything illegal. D. Meet with the project sponsor and seniormanagement to discuss this problem and potential solutions. 55. You have been assigned to manage apportionof a larger project that is supposed to be finished within a two-week period.You have met with the leadership of the area to gather requirements, and youhave a project charter, scope statement and project plan that have beenapproved by these individuals. You are told to meet with the actual user of theresults of the project to demonstration, it is clear that the user’s requirements are very different from the ones you were initiallygiven and to which both you and the client agreed. What is the BEST thing foryou to do now? D. Complete the work as originally specified andformulate a new project to meet the user’s requirements. A. Demand that the original carpeting beinstalled. B. Meet with the customer to explain whathappened and celebrate the $10000 windfall. C. Document the change in the change controlplan. D. Determine the overall impact on the project. A. client accepts the product. B. lessons learned are completed. 59. Which is the latest activity done at closingphase of the project?